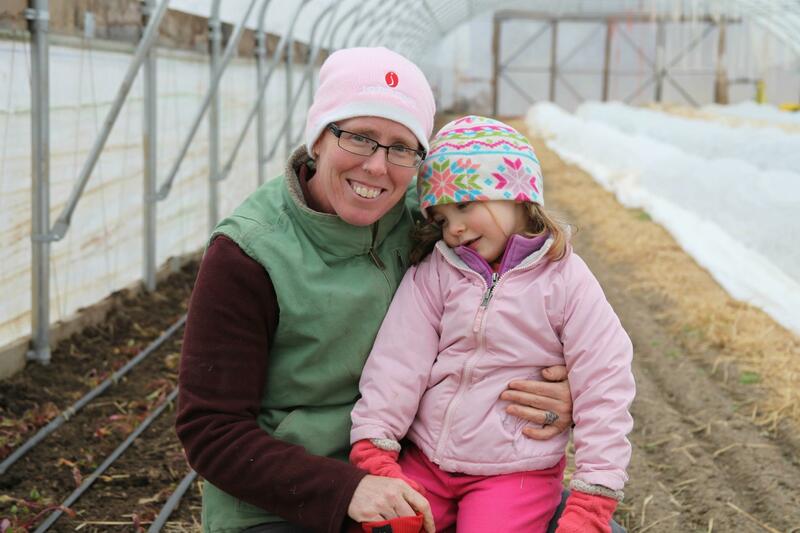 : Organic farmer Liz Graznak (with daughter Sylvia) had about $36,000 in student debt after graduate school that she wanted to pay down before starting her dream farm. Liz Graznak runs an organic farm near Jamestown, Missouri, which she calls Happy Hollow Farm. She sells her vegetables to local restaurants, in CSA boxes and at the farmer’s market. But eight years ago, after falling in love with the idea of growing her own local produce, the farm she runs today looked like a near-impossible dream. 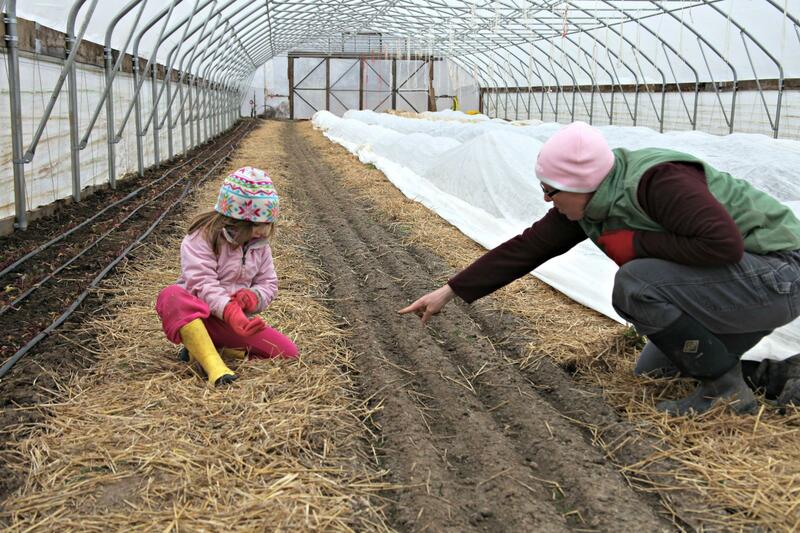 Liz Graznak and her daughter Sylvia hunt for weeds in the high tunnel at Happy Hollow Farm. Graznak worked for six years after college to save money to start her farm. Farmer Liz Graznak sells vegetables and sometimes eggs at the local farmers market or in CSA boxes. There's a problem few are talking about when it comes to student debt. While the topic of undergrads taking out steep loans to pay for tuition costs often grabs the most attention, grad students face interest rates that are more than one third higher. But a group of students at the University of Missouri is trying to change that. Missouri Business Alert's Tatiana Darie spoke with the students of Grads Have Debt 2 about their efforts to achieve reform. U.S. Sen. Claire McCaskill (D-Mo.) took part in a student loan roundtable today on the University of Missouri campus. She is co-sponsoring the Bank on Student Loans Fairness Act with Sen. Elizabeth Warren (D-Mass.). The bill would reduce the interest rate on federally guaranteed loans for undergraduates from the current 3.4 percent to the 0.75 percent-rate banks receive when they borrow from the government. McCaskill also heard from graduate and professional degree students in attendance who said their loans should be part of the discussion. The White House says the average Missouri student borrower will save just over $1,500 this school year under bipartisan legislation approved last week in the Senate, which would undo a rate hike that took effect for subsidized Stafford loans on July 1. Democratic Missouri Sen. Claire McCaskill is donning an apron to emphasize her support for federal student loans in her campaign against Republican Todd Akin.